Measured Words second helpings, launched December 2011. Measured Words third course, launched December 2013. Barbara has instructed creative writing workshops with a linguistic slant. Barbara enjoys interacting with writers and editors and is always delighted by their wealth of knowledge and experience. 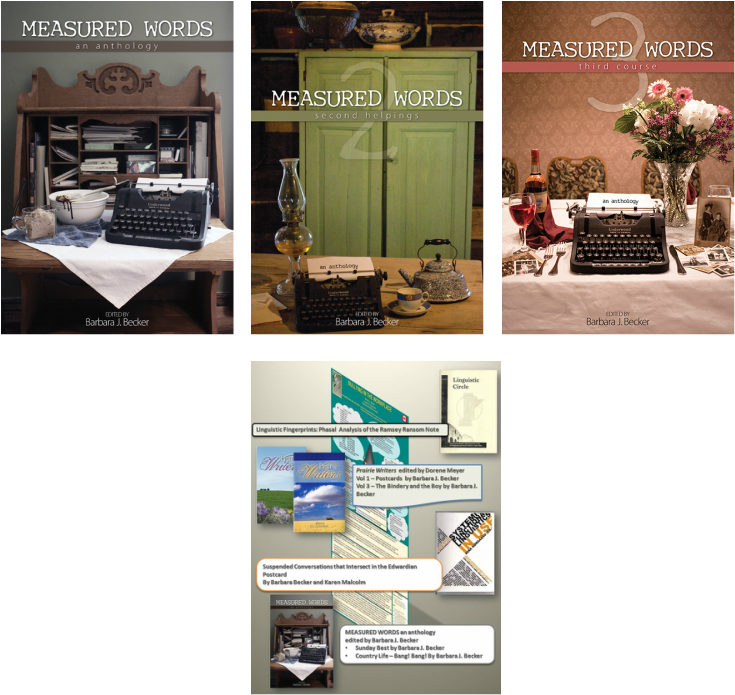 28 fresh Manitoba Voices telling stories and poems that capture bygone eras, fascinating cultures, delectable recipes and vintage photographs!